Throughout the year, On The Hiyu will create a series of “hand-forged” spectacles, each with a unique look and and feel. These immersive, upbeat entertainment experiences will celebrate occasions in grand style, as we pull out all the stops, damn the torpedoes and full steam ahead! 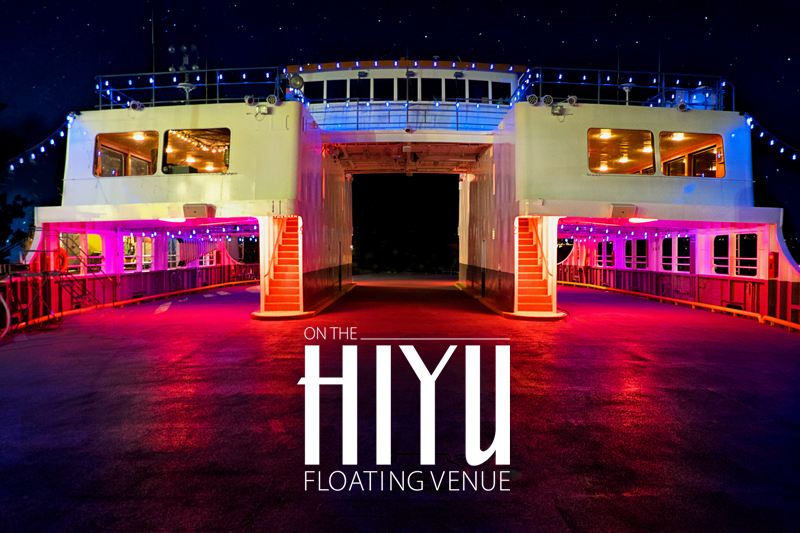 On The Hiyu is a unique floating venue dedicated to the presentation of arts, entertainment and events from a multitude of cultural and creative traditions. Our mission is to empower artists, musicians, celebrants and creative thinkers to bring their unique and inspiring gifts to the world. We serve as a space that fuels positive thought and action, enhances community, inclusivity and furthers conscious connection through the joyous celebration of life.